GOLDEN, Colo. -- An inmate who escaped from a Colorado jail's maximum security pod Sunday night pushed through metal mesh fencing and jumped 10 feet to escape, reports the Denver Post. 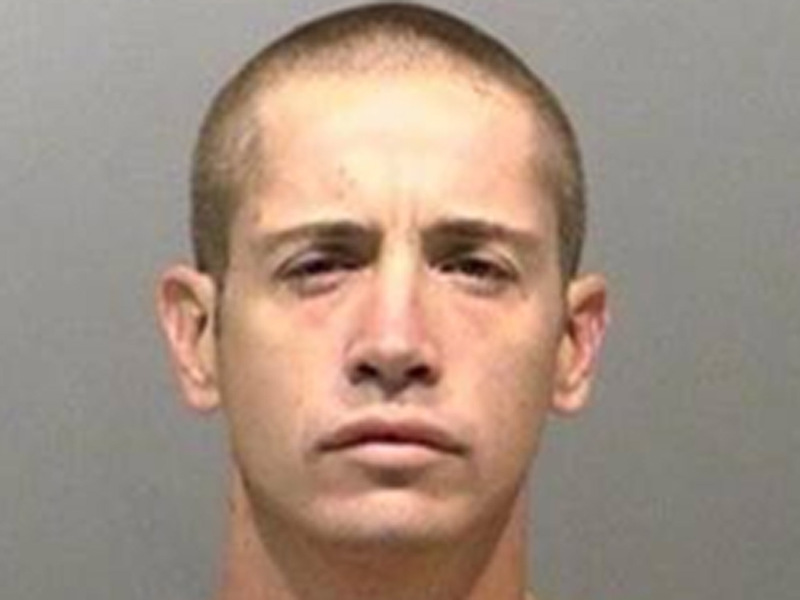 The search continues for Travis Sandlin, 32, who reportedly had about a "30-minute" head start on officials when he escaped the Jefferson County Detention Facility in Golden, Colo., just outside Denver, authorities said. Jacki Kelley, a spokeswoman for the Jefferson County Sheriff's Office told the paper the inmate has a lengthy criminal record and at least one prior felony conviction. She said a helicopter and bloodhounds have been used in the search, and reverse emergency notifications have been sent to people within a half-mile of the jail. Sandlin was behind bars on a variety of offenses including burglary, trespassing, theft, motor vehicle theft and felon in possession of a handgun, the newspaper says. She said during a Monday morning news conference that the escape happened sometime between 9 and 10 p.m. Sunday during an authorized outdoor recreation time, reports the paper. Kelley said as many as eight inmates saw the escape, but didn't follow. "He had two pretty significant drops," Kelley said, reports the Post. "He may have a leg injury, a back injury. We also know that the way he pushed through the fencing, he should have some significant rake marks across his back." Sheriff's officials notified local transit officials because there's a light rail station nearby, Kelley told the Post. Officials have reportedly closed all outdoor recreation areas in the jail, which houses about 1,265 prisoners, as they investigate possible weaknesses in other areas, reports the paper. Sandlin was reportedly the first inmate to have escaped from the jail. Sandlin is considered dangerous. Anyone with tips about his whereabouts is asked to call (303) 271-5612, and anyone who sees him is asked to call 911.